Fires are becoming a problem even in areas that rarely experience a forest fire. Climate change as well as the way forests have been managed in the past have some bearing on this. It is heartbreaking to hear on the news of lives lost and homes burned to the ground when some forethought may have been the key to surviving. I have a whole chapter in my book devoted to our experiences with forest fires and that chapter alone will help you prepare for a fire storm. For this post, I will occasionally copy a section from my book when appropriate. It is my hope that our past experiences might give you and your family the needed information to prepare in the event the unthinkable heads in your direction. Because we lived alone on a remote lake that was accessible only by float plane, we knew we had to be responsible for ourselves. We were 100 miles from the nearest supply point. 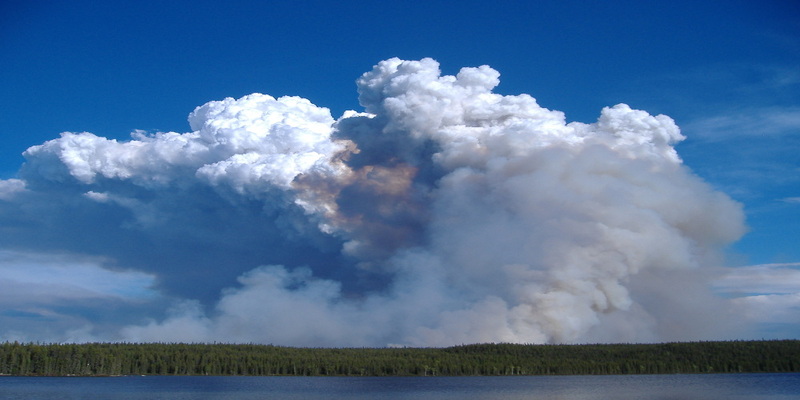 Saskatchewan Environmental Resource Management (SERM) has fire crews that are available to help but weather, smoke and multiple fires elsewhere determined if they could get in to help us. I have to tell you, over the 17 years we lived in the bush, forest fires in the summer were a constant worry. We had multiple threats and SERM did their best to support us. Those men and women were terrific and we are eternally grateful for all the help they gave us. 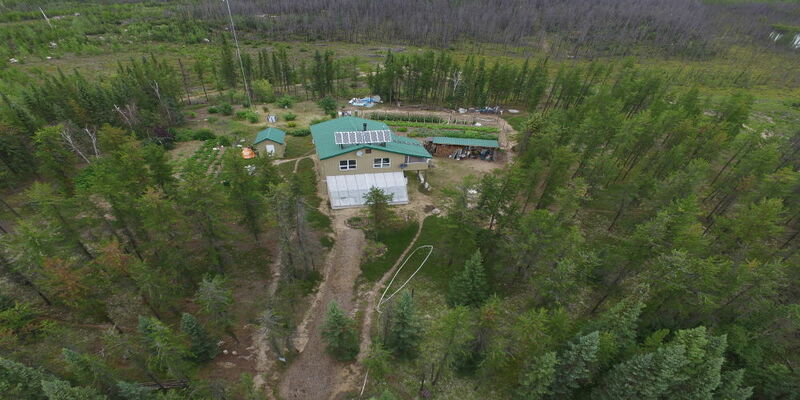 With those factors in mind, we wanted to give ourselves the best chance to survive a forest fire. Not only for ourselves, but for our homestead as well. Our choice of building materials was our first line of defense. We chose to use metal for the exterior of our building. Both sides and roof. The metal was easy to fly in, easy to install and gave us a fireproof exterior with zero maintenance. 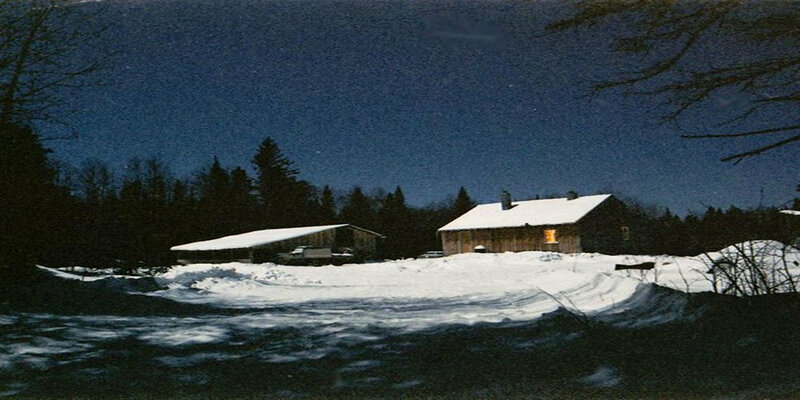 It would have been absurd for us to put cedar shingles on the sides and/or roof given our wilderness setting’s propensity for large fires. That would have been asking for trouble. Equally foolish would have been to set our home in the forest without at least some buffer devoid of trees. Obviously the more buffer the better, to a point. All forest debris around the house such as pine needles and small branches which would act as fire starting tinder were raked away each spring. If you live in a remote area, make sure forest service personnel and fire management know your exact location. Never underestimate a fire, no matter how small. It has the potential to literally explode in size in seconds. Once a fire has a head of steam and is on the move, it can incinerate territory with frightening speed. You will never outrun it. Be on your guard in summer months. Every lightning strike is a potential conflagration. Campfires or a careless cigarette thrown away can wreak havoc. And then you’ve got the nuts that intentionally start fires. My point being, in summer, be vigilant and make it a habit to look up at the sky. Scan the horizon. A column of smoke will give you advance warning of danger. A whiff of smoke might hint at trouble. Once you smell burning forest, you’ll never forget it. The smoke has an unmistakable smell. Consider buying some good goggles and smoke masks. I hope you never have to deal with this but best to be prepared. And finally, what’s your game plan when you smell smoke, see a column of smoke or worse, see an advancing curtain of flames? How do you survive this mess? What’s your primary escape plan? Then what is plan B, C and D? We’ve been through it all. In our case, when we had fire threat, if we had time, Johanna ran around the house shutting windows and doors. Then she gathered documents and pictures and threw them in a suitcase and we lugged the suitcase down to the boat which was our primary escape out on to the lake. If we had time, we donned survival suits in the event we had to physically bail out into the lake. I also completely buried a metal trash can in the yard beforehand where I could stash pictures and documents, put the lid on and cover the can with a thick layer of dirt. I would suggest thinking everything through now before fire and panic show up. Assess the escape routes. Figure out the primary route, then have backup plans since rarely does something go as planned. Is there a river or lake to retreat to? 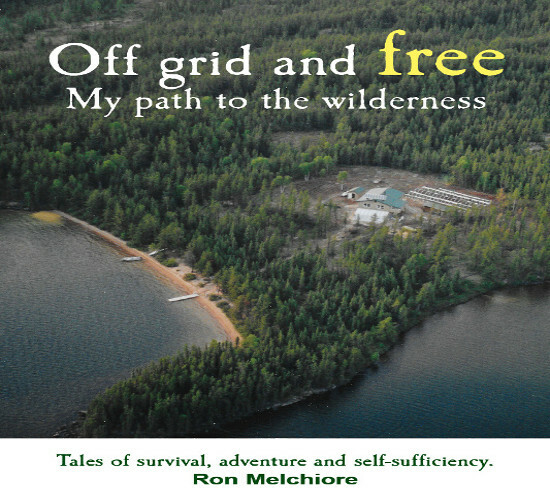 The following excerpt is from my book Off Grid and Free: My Path to the Wilderness and is from Chapter 12, “Forest Fires Burn Me Up”. If you can read that chapter without getting a lump in your throat and a racing heart, you’re doing good. I know when I read it, everything comes flooding back. They were some intense experiences. “You assume risks when you are in the wilderness, and the threat of forest fires is one of those risks. We knew we would ultimately have to deal with a fire, but the scale, the frightening size, and the ferocity were a surprise to us. 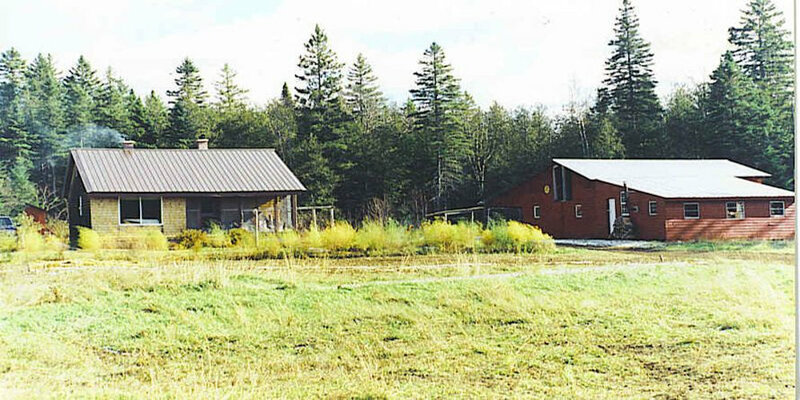 We used fire-resistant metal for the siding and the roofing when we built the house. This material comes in baked enamel paint of various colors. We chose two earth tones, tan and green, finishing the exterior of our home to blend in with the surroundings. The metal was lightweight and was easy to fly in and install on the house. We had introduced ourselves to the local fire command center when we first moved out here, and we made sure they knew our exact location. To this day, to a degree, I am their eyes on the ground, and many times I will call in a fire to confirm they know about it. Between summer float plane traffic, higher altitude commercial flights, and routine fire patrols, there are a lot of watchful eyes from above, so it isn’t often they aren’t aware of all fires. Still, a fire can be smoldering and, until it flares up, planes going by may not notice anything unusual. 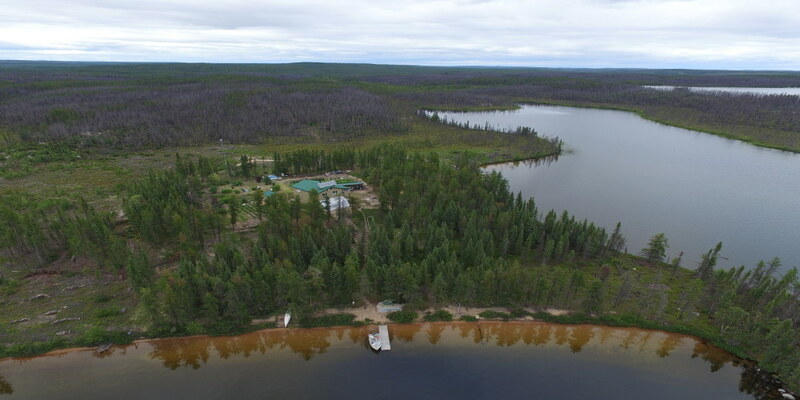 Saskatchewan Environmental Resources Management (SERM) does a marvelous job of protecting property, but there are times when conditions simply aren’t safe for them to land, or manpower and equipment may be stretched thin from battling numerous, simultaneous fires. We planned for an eventual fire by buying a Honda gas-powered water pump, multiple lengths of fire hose, and sprinklers so that we would be prepared in the event the fire crews couldn’t get here in time. Join us next time as we explain how we manged to survive and protect our property from two direct hits of fire storms. PS. Take another look at the image titled “Viewed From Our Home” The area we took that picture from was on fire shortly after we took that picture! This entry was posted in Homesteading/Prepping, Uncategorized and tagged homesteading, prepping, self sufficiency, self-reliance. Bookmark the permalink. We lived on a acreage in the forest outside of PA SK and am fully aware of the dangers fires pose especially in springtime before “green up”. Living in a diseased (dwarf mistletoe) forest only made matters that much worse and potentially explosive. For those who may not have read Ron & Johanna’s book….buy it read it you will love it and find it very hard to put down. Hello Margi. If you are worried, then I am too. Here are some random thoughts for you. I don’t know what you have for escape plans, boats or local topography. I would prepare a boat for a quick getaway. Some food, water, clothes and extra paddles. Think about smoke and wind. Consider at a minimum some smoke masks and perhaps goggles. When I was on the lake during our fire, if I didn’t break out of that smoke bank when I did, I would have been in trouble. I did not have goggles or smoke mask for that fire. We did for the next one! Expect strong winds. 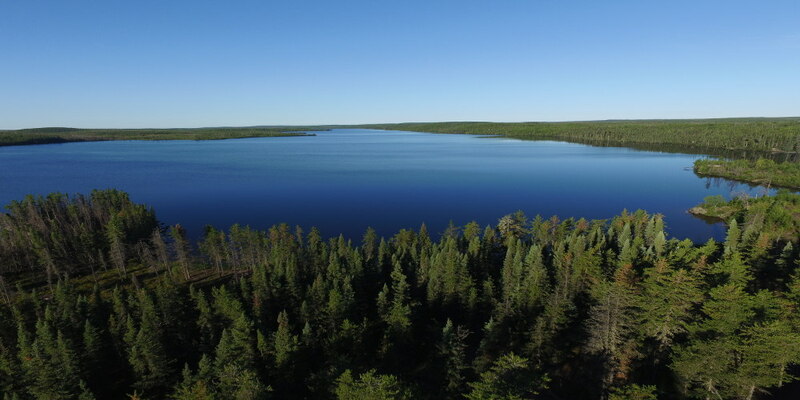 If your boat motor dies, can you toss an anchor over in the middle of the lake. Does your boat have a secondary trolling motor that might be utilized? Will a set of oars be of value? Expect fires to break out in other locations as embers are blown a distance from the original fire. Give some thought to photo albums, computer, computer backup hard drive and important documents. Perhaps gather them or at least have it set up so they can be gathered and packed in a minute or less. If time allows, close all windows and doors. It would be quite easy to buy and set up a tiny water pump and a sprinkler or two. Mount the sprinkler head on a stout pole as high as possible and make sure the sprinkler covers the whole area you want protected. There is no doubt in my mind that you can save your house boat and possessions if you have a functioning sprinkler system. You have an unlimited water source which is a bonus. I don’t mean scare you or others reading this but the time to prepare is now before a fire ever shows up. Within a few days I will have part 2 of my fire post up which might help someone as well. Stay safe and vigilant. Give the horizon an occasional scan throughout the day. You may get a whiff of smoke long before you see any sign of fire. All the best Margi.